The major benefit of having fitted wardrobes is that, assuming you’ll stay in your property for a long time, you will never have to buy another wardrobe as long as you’re living there. Better still, you can also choose the exact configuration of rails, drawers and other options to suit your particular needs. Particularly beneficial to those who want a clutter-free life, fitted wardrobes are the ideal choice for maximising your storage space and are suitable for any kind of bedroom. The ultimate in luxury, a walk-in wardrobe is perfect if you have the space. Walk-ins allow you to hang your clothes with room to spare, and increased demand for them means they’re easier to come by than ever before. 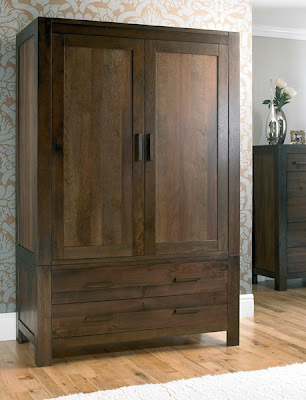 If you don’t have room in your bedroom, why not try converting a spare box room into a walk in wardrobe. Walk-in wardrobes have long been associated with style and sophistication, and can complement any kind of bedroom scheme. The ability to tailor the design to suit your needs is a valuable bonus. Many walk-in wardrobes are available with sliding doors to enhance your available floor space. And if you don’t have the space for one in your bedroom, you could always look into converting a box room into a made-to-measure walk-in wardrobe. The main benefit of a freestanding wardrobe is that, should you choose to move, you could take it with you. Freestanding wardrobes are ideal for those who find the idea of a wall of fitted units claustrophobic, as they allow a more creative approach. If you happen to have alcoves, for instance, you could look for wardrobes that will fit neatly into this space. Don’t fall into the trap of buying inexpensive and poorly constructed fitted wardrobes – many freestanding options offer far better quality than the readily available MDF or chipboard. With many ranges, you can also choose your configuration of hanging space, drawers and shelves. Traditionally in French or Gustavian style, these are perfect for a vintage-style bedroom. Armoires are usually available with rails but more predominantly shelving, which makes them perfect for storing jumpers and other clothing that needs folding rather than hanging. It’s all well and good having a super-stylish wardrobe, but it’ll be no use if your clothes are being squashed, creased and eventually ruined. Considering how best to store them could save you a lot of money in the long run. When choosing a wardrobe, one of the most important things to consider is how many rails you will need and what height they should be to accommodate your clothes. If you have lots of shirts, make sure they can hang without being caught on the door hinges, likewise if you have more trousers or long dresses, ensure the garments won’t drag on the floor. Some wardrobes come with drawers, so you may not need a separate chest of drawers – perfect for small bedrooms. There’s little point investing in a great wardrobe if you don’t buy the correct hangers. Don’t just rely on the wire ones from the dry cleaners, as they’re only supposed to be a temporary measure. Instead, invest in some quality wooden hangers, choosing ones with clips for trousers and skirts. For added protection for delicate clothing that needs to be hung, opt for padded hangers, which will prevent any dents. Jumpers and woollen cardigans are better off being folded rather than hung. If you would prefer not to have them in drawers, invest in some fabric hanging units, which can be fastened around your wardrobe’s hanging rail using Velcro. This storage solution is flexible as it can be moved along the rail as desired, and folded when not in use. To avoid your wardrobe becoming over-crowded and crumpling your clothes, choose storage boxes that can be used to store out-of-season clothing. Make sure clothes have been freshly laundered and folded carefully, with sheets of tissue paper in between the clothes to protect them. A great tip is to then add a piece of cedar wood – perfect for preventing moths. TOP TIP! Give your wardrobe a clear out once every six months. Be ruthless and throw away everything that doesn’t fit or that you haven’t worn for the past six months. You can give them to charity or hold a clothes-swapping party with friends. Furniture123 - buying wardrobes made easy! Pin It Now!